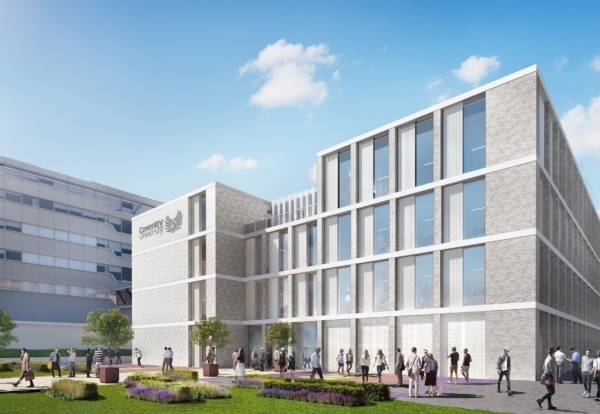 Midlands-based construction group Speller Metcalfe has won a £18m contract to build Coventry University’s new Engineering and Computing Building. The two sections of the new four-storey building, to be built on land at part of the former hospital site in Gulson Road, will be linked by a central atrium and connected to the current Engineering and Computing Building by a covered bridge. The building will feature a range of state-of-the-art spaces including a gaming and virtual reality studio, a specialist area for 3D printing and rapid prototyping, a laser facility, and physics and electronics laboratories. It will also include seminar, tutorial and PC rooms, as well as social and collaborative learning areas for students, staff and researchers. Speller Metcalfe will start on site next month and the building will open to students in autumn 2020.